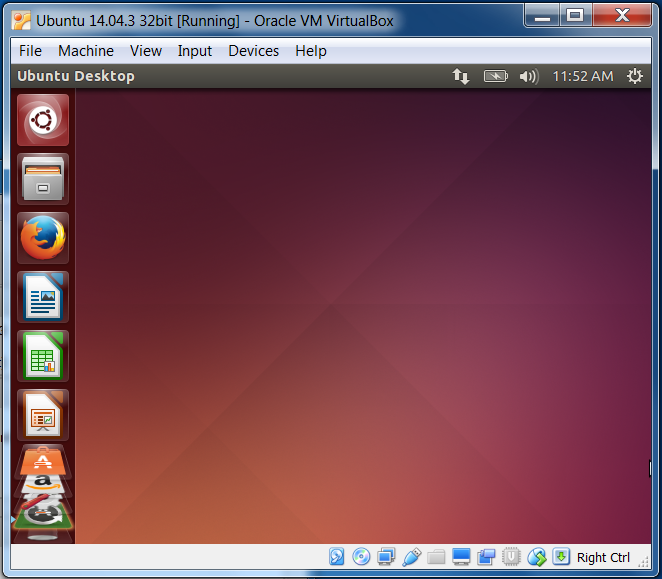 Installing a virtual machine on a Windows or Macintosh computer enables you to run Linux on that computer as a guest operating system. 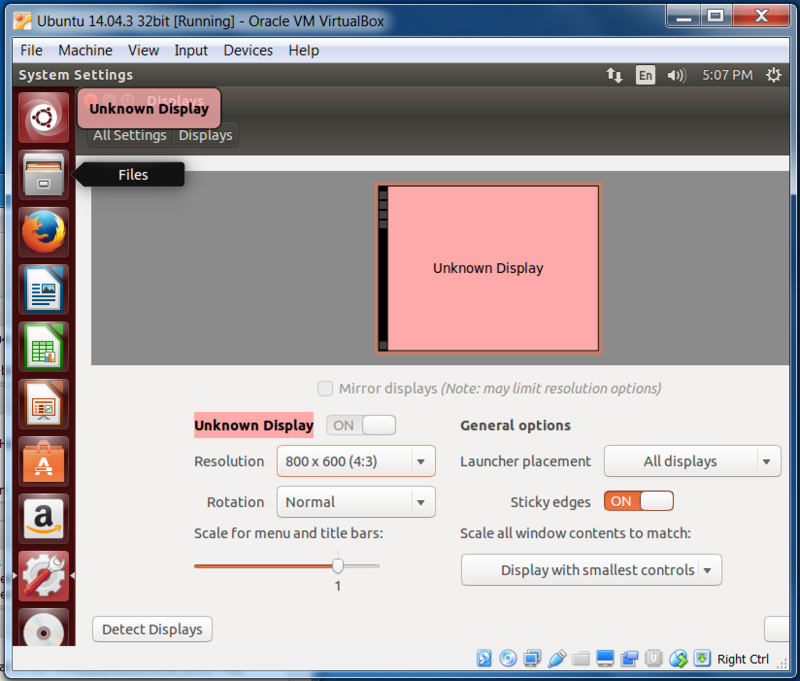 You have probably heard of the virtual machine named "Parallels" that enables users to run Windows on a Mac. 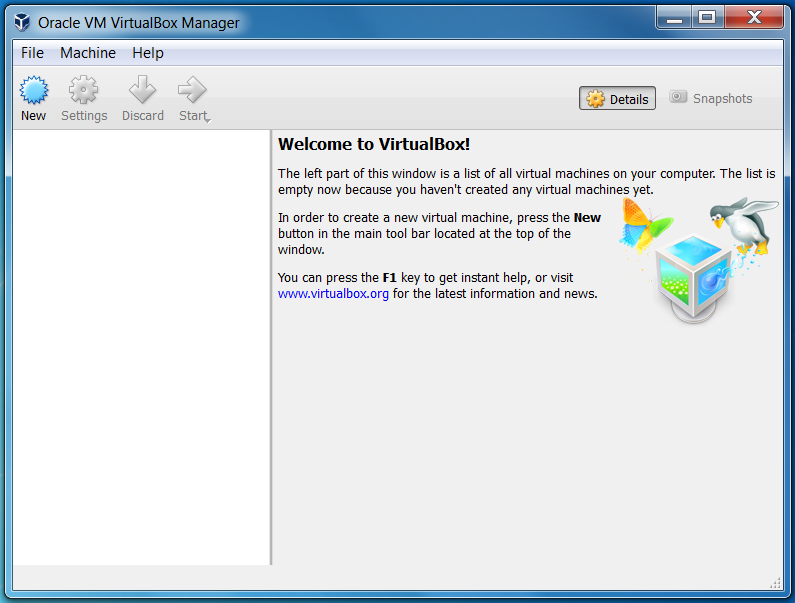 Another virtual machine example is called VirtualBox. This enables Linux to run on a Windows or Mac host. 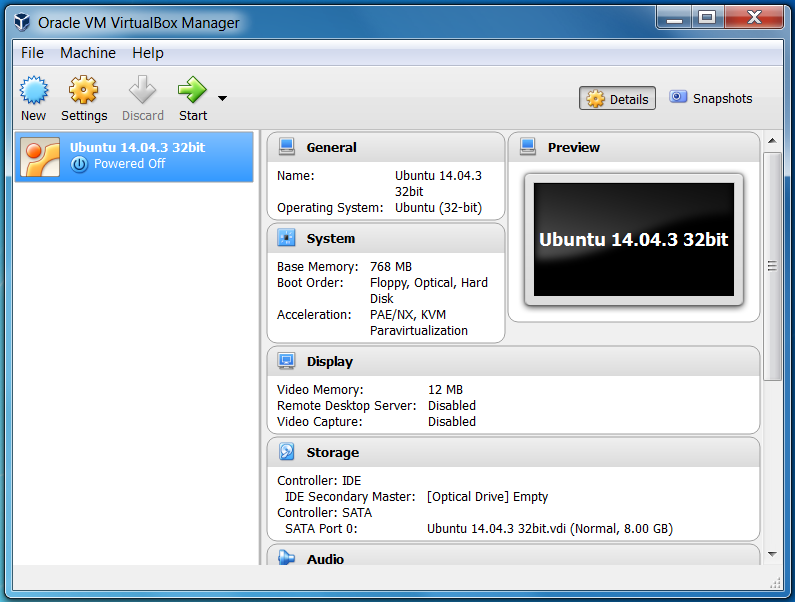 Download VirtualBox and the Linux distribution of your choice. Some popular Linux distributions include Fedora and Debian. If you want to run Linux on an old computer, Puppy Linux or Lubuntu may be a better choice. We have chosen to use Ubuntu for this example. We recommend you choose the most recent Long Term Support (LTS) version and 32-bit. The 32-bit version will probably run faster in a virtual machine (VM), even if you have a 64-bit computer. 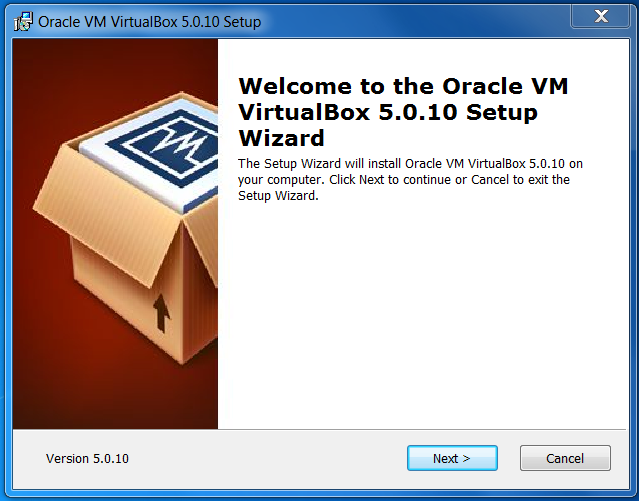 Execute the VirtualBox install program then start VirtualBox. Click "next" to use all default settings. 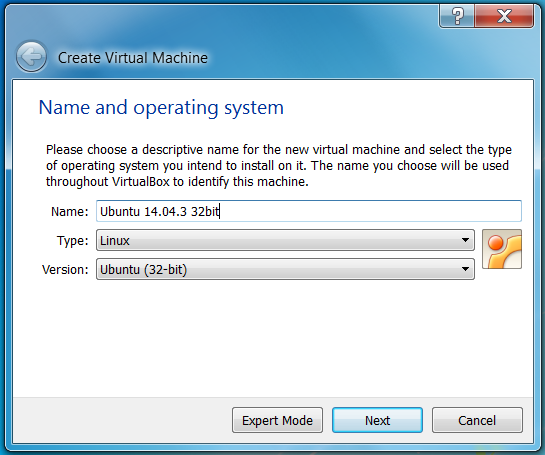 Provide a descriptive name for the new virtual machine. 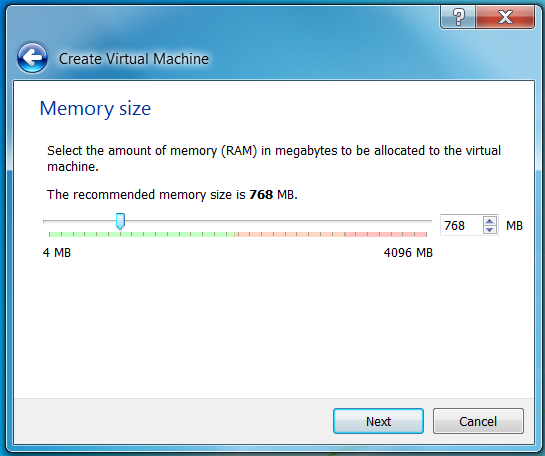 Select the amount of random access memory (RAM) to be allocated to the virtual machine. Select the hard disk file type. 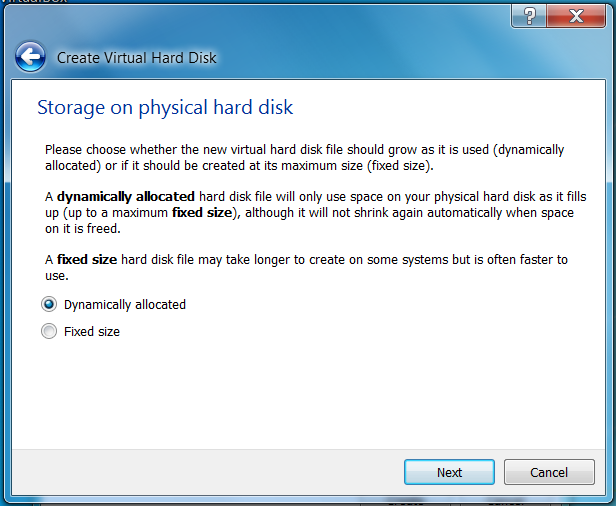 Choose to dynamically increase the physical hard disk space as the virtual hard disc needs it. 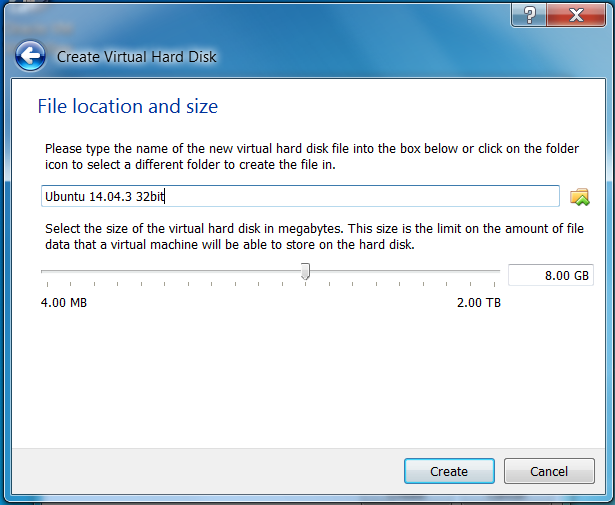 Select a file name and maximum size of the virtual hard disk. Click the "Storage" button, then "Empty" (under Controller: IDE), and check the box beside "Live CD/DVD"
Browse to the Ubuntu install file. 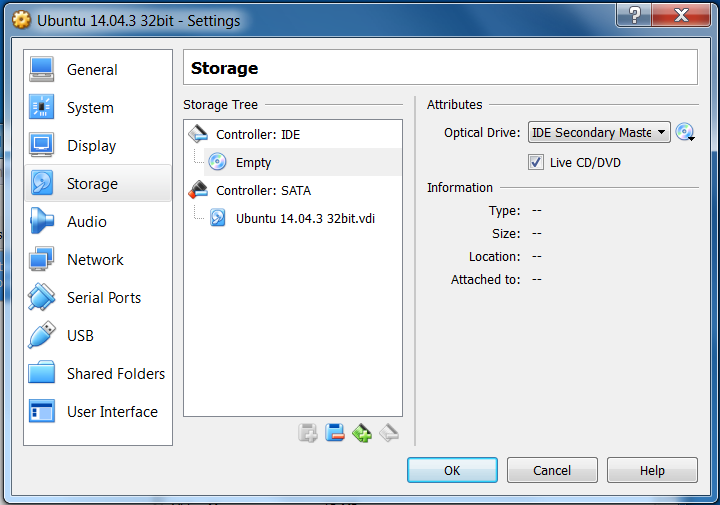 Click the "CD/DVD image" button, click "Choose Virtual Optical Disk File…", then browse to the Ubuntu ISO file you downloaded in step 1 above. Click "OK". 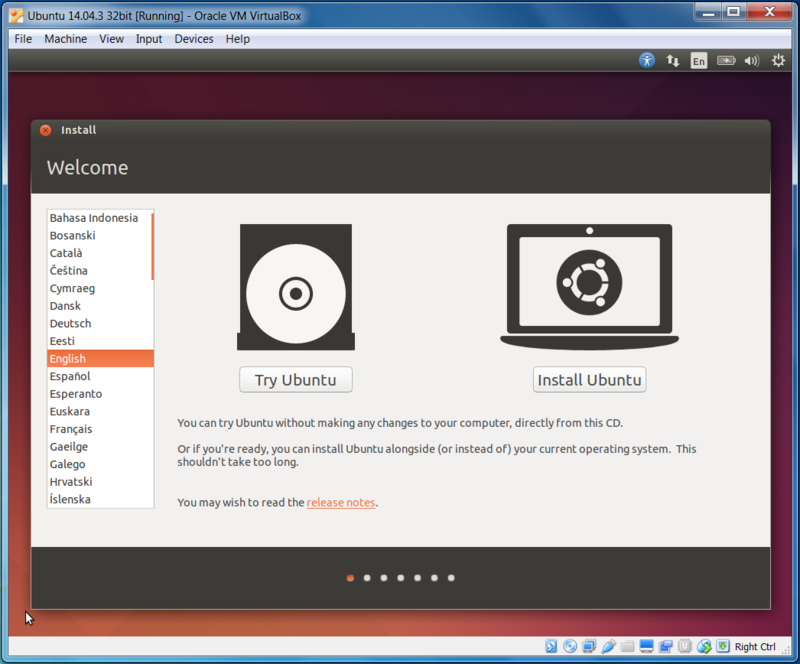 This starts your virtual machine (Imagine starting a computer with the Ubuntu install disc in the CD/DVD drive.) Please be patient as the virtual install DVD is read. You may see some error and other information messages. These can probably be disregarded. This should probably scare you but don't worry. 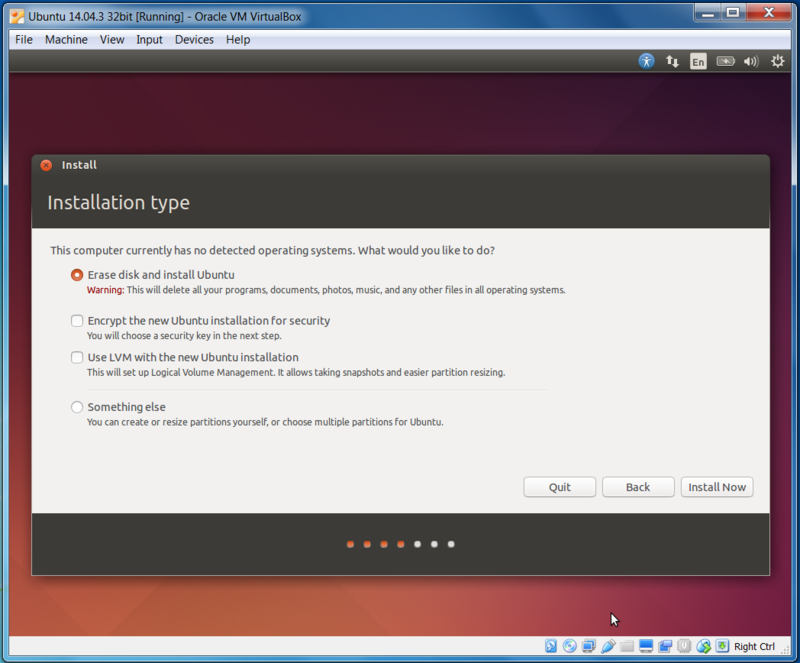 You are installing a VIRTUAL operating system which will not affect your native operating system. This virtual operating system will be installed on the VIRTUAL hard disc you created in step 3.7 above. Check the two boxes to download software and click "Continue". 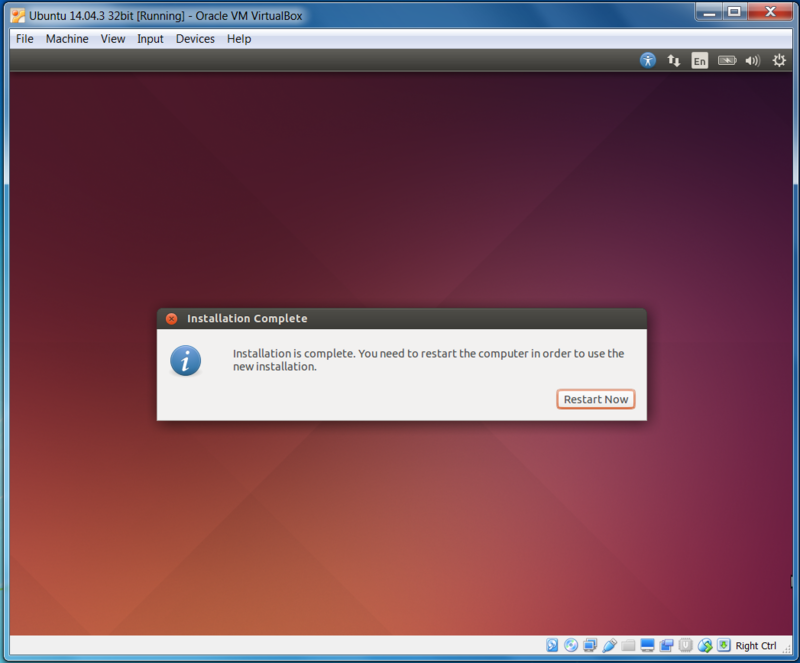 Select "Erase disk and install Ubuntu" then click "Install Now". I'm sure you are afraid to do this but have faith. It will be OK. 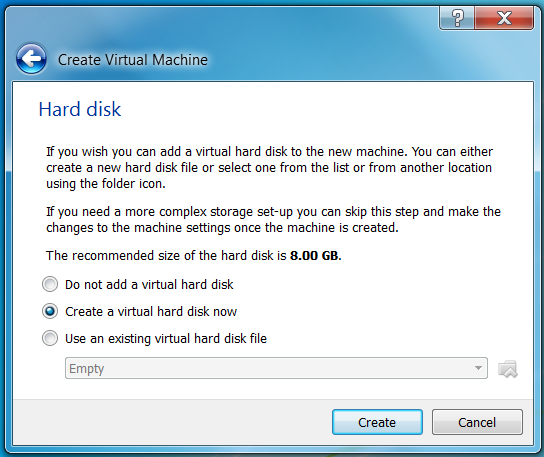 This will only affect the VIRTUAL hard disc you created in step 3.4 through 3.7 above. You will see a message about making changes to the disks. Click Continue. Enter the information requested and click Continue. Please be patient as the operating system is installed. Click "Restart Now" when the installation completes, then press <Enter> at the prompt. You may see some warning messages as the virtual machine restarts. Disregard them. 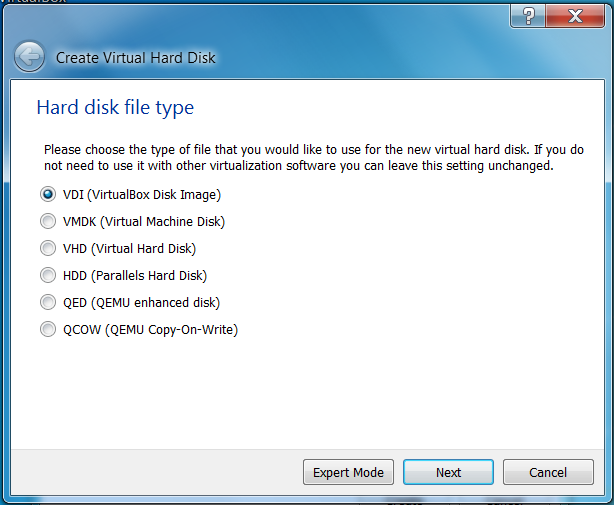 You will be asked to remove your virtual installation disc from the virtual CD/DVD drive. Pretend to do this, then press <Enter> (carriage return). Enter the password you created in step 4.7 above to log in. 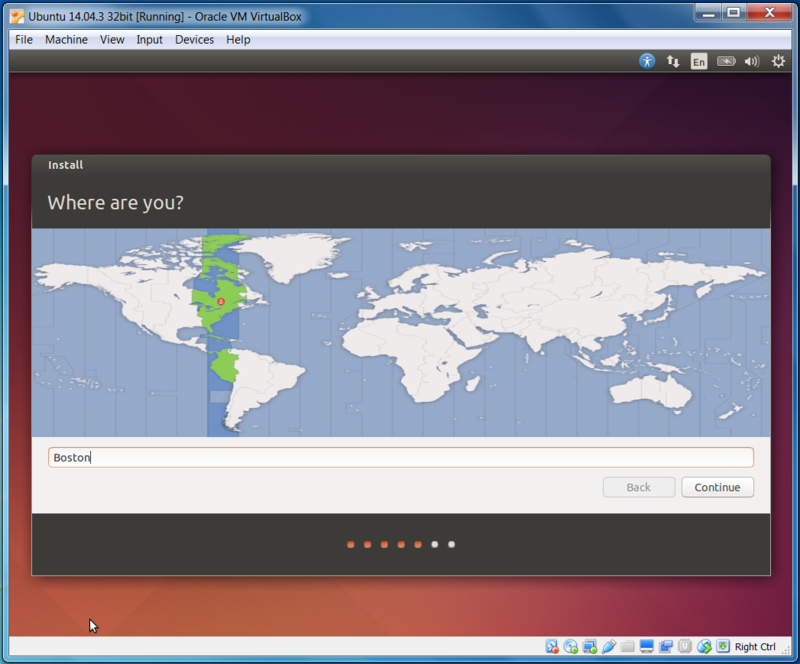 Ubuntu is now running in the VirtualBox virtual machine on your original operating system. You will need to wait a short time while the desktop loads. If it is there, right click to eject it. 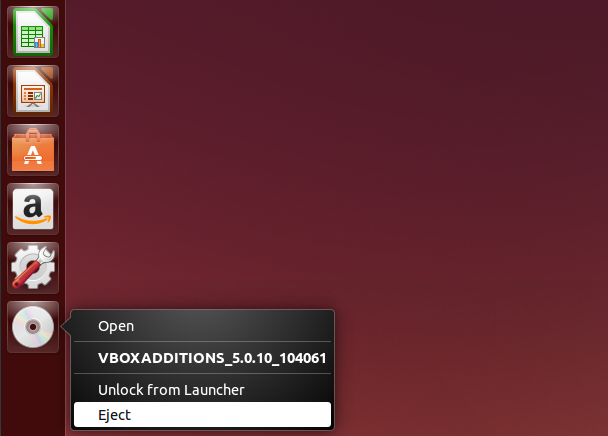 You will see it disappear and a message will be displayed letting you know it is ejected. 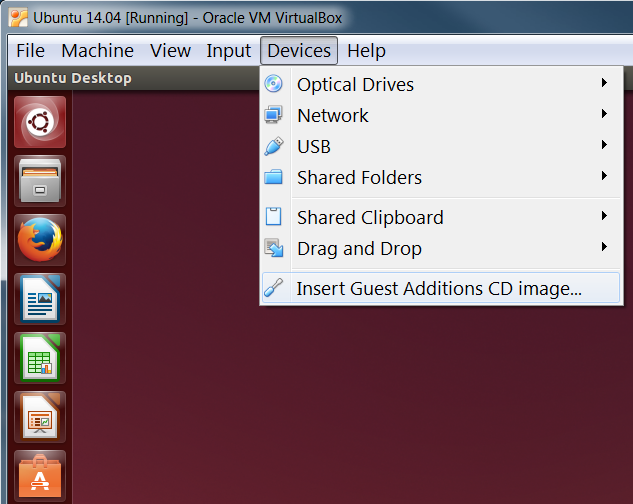 Click the "Devices" menu (top of window) and select "Insert Guest Additions CD image…". A message box will open asking if you wan to automatically run the software on the virtual CD. Click Run. An "Authenticate" box will open. Enter your password and click the "Authenticate" button. 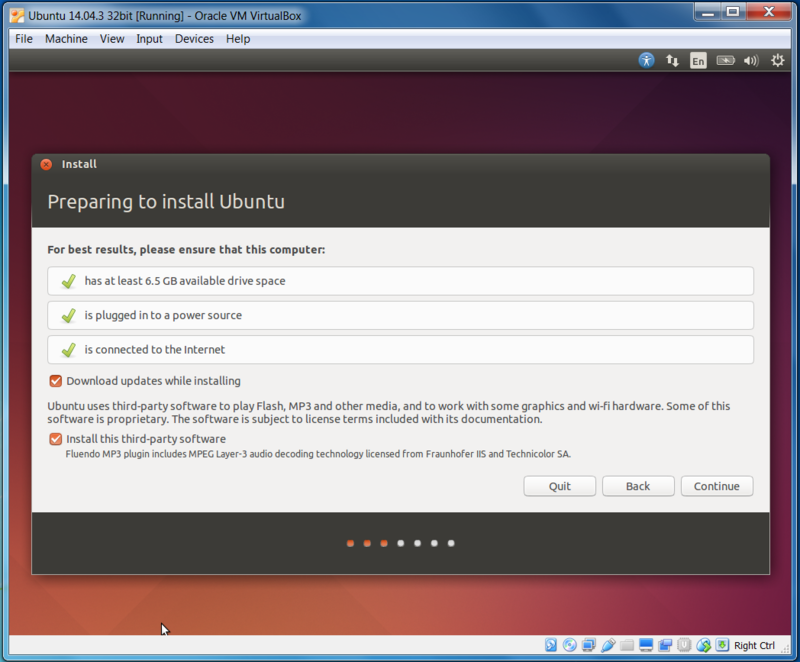 This will start the VirtualBox Guest Additions software installation. Press <Enter> to close the window when complete. 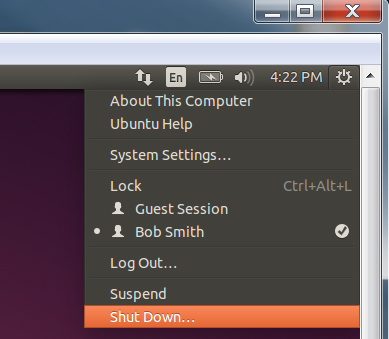 Click the power icon (top right corner) to shut down Ubuntu. 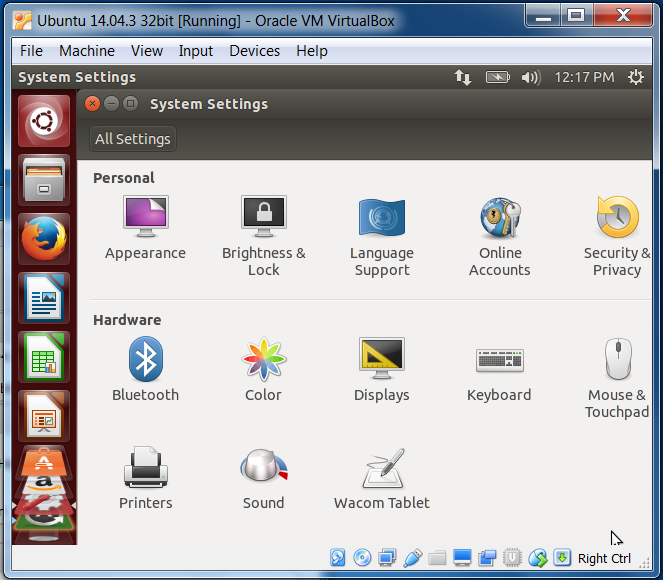 Restart the Ubuntu VM and click the "System Settings" icon on the left, then "Displays". Change the resolution and click "Apply". Now the resolution can be changed using the drop down selections. Click the apply button (lower right corner) after you've changed the resolution.